Hawaii National Park, HI – Hawai‘i Volcanoes National Park continues its tradition of sharing Hawaiian culture and After Dark in the Park (ADIP) programs with the public throughout 2017. 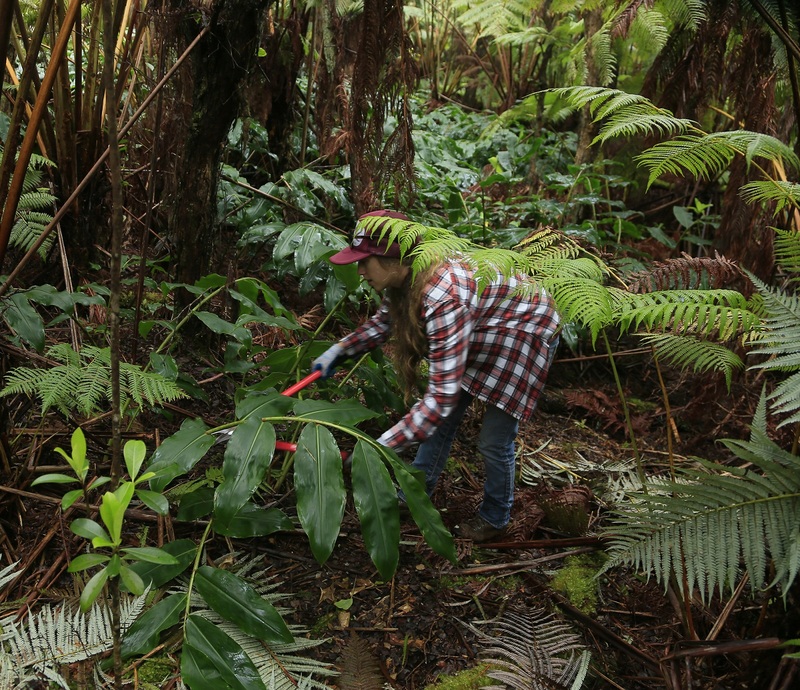 In addition, the community is invited to lend a hand to save native rainforest through the park’s Stewardship at the Summit (SAS) volunteer program. Stewardship at the Summit. 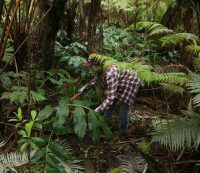 Volunteers are needed to help remove invasive, non-native plant species that prevent native plants from growing in Hawai‘i Volcanoes National Park, a UNESCO World Heritage Site. Wear sturdy hiking shoes and long pants. Bring a hat, raingear, day pack, snacks and water. Gloves and tools are provided. No advance registration is required for groups under six people, and there is no cost to participate, but park entrance fees apply. Visit the park website for details. Free, but park entrance fees apply. When: July 1, 7, 15, 21 and 29 at 9 a.m.
Where: Meet project leaders at Kīlauea Visitor Center at 8:45 a.m. on any of the above dates. 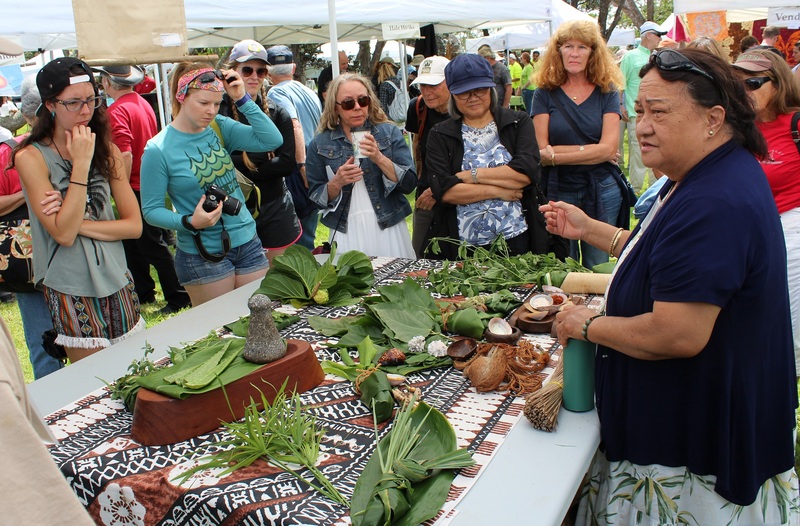 The medicinal use of Hawaiian plants is explained by Ka‘ohu Monfort at the 2016 Cultural Festival. NPS Photo/Sami Steinkamp. 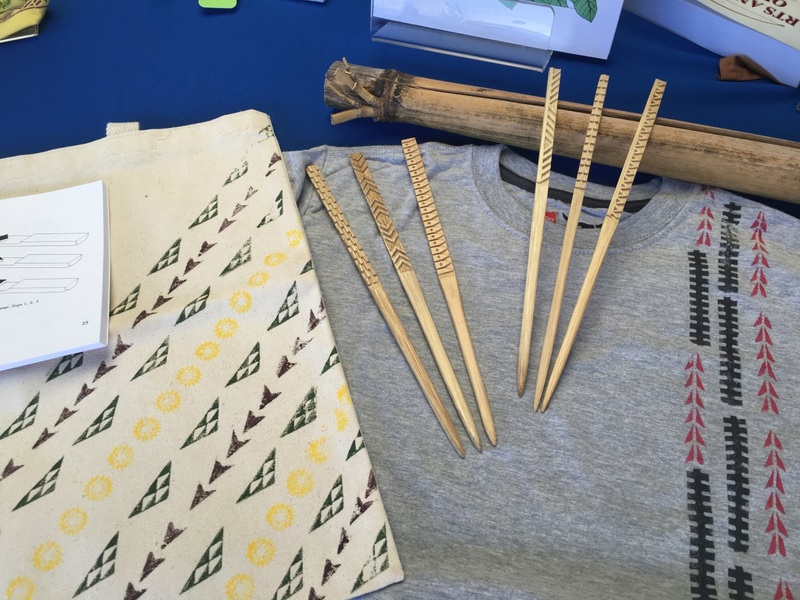 37th Annual Hawaiian Cultural Festival & BioBlitz at Hawai‘i Volcanoes National Park! Everyone is invited to engage in authentic Hawaiian cultural practices and learn how Hawaiians live closely to the land as its stewards. Enjoy hula and music, watch skilled practitioners demonstrate their art, and try your hand at Hawaiian crafts. This year’s festival will again include a “BioBlitz,” a chance to join scientists and cultural practitioners and discover the biodiversity that thrives in the park. When: Sat., July 8; Cultural Festival is 10 a.m. to 3 p.m.; BioBlitz activites from 8 a.m. to 1 p.m.
USGS seismograph data. USGS photo. What We Can Do Now to Data Recorded Way Back When. Now in its second century of operation, the U.S. Geological Survey (USGS) Hawaiian Volcano Observatory (HVO) has fully embraced digital data recording and analysis. 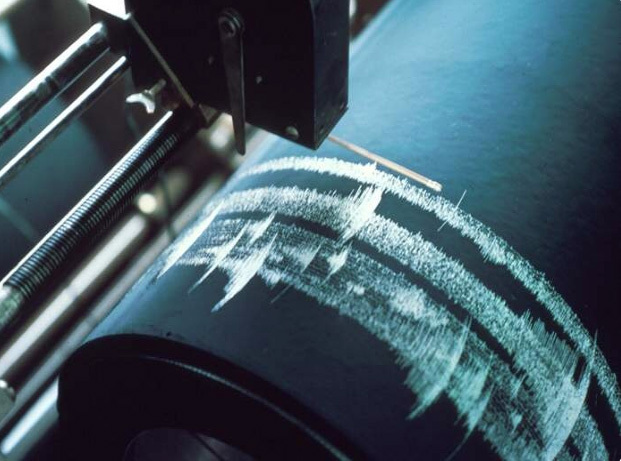 As technologies evolve, the challenge is to apply contemporary digital analysis techniques to historic paper seismic records. Join USGS HVO Geophysicist Paul Okubo as he describes a current look into seismograms from HVO’s first 100 years. Part of Hawai‘i Volcanoes’ ongoing After Dark in the Park series. Free, but park entrance fees apply. When: Tues., July 11 at 7 p.m.
Lei wili making demo. NPS Photo. Lei Making Demo. 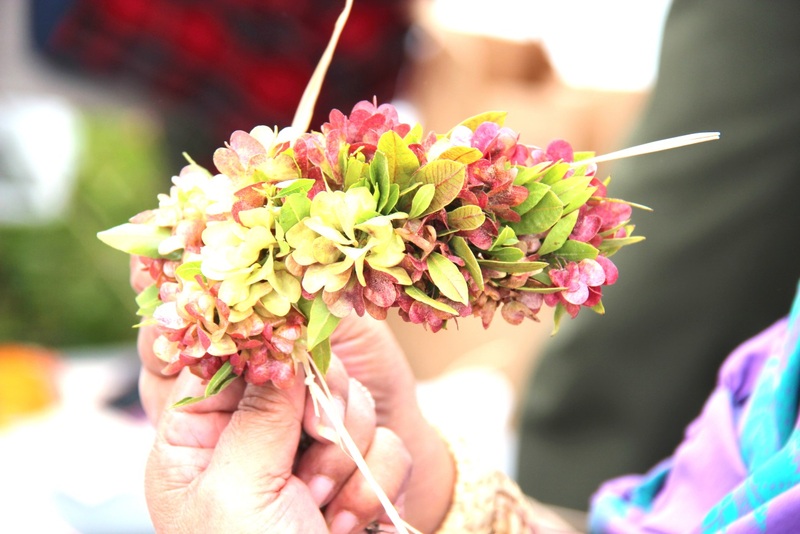 Join local cultural practitioner Pua O’Mahoney and learn to make traditional Hawaiian lei with natural materials that include leaves, flowers, and more. The beautiful and versatile Hawaiian lei is used for adornments, blessings, rituals, gifts and as an expression of love and celebration. Part of Hawai‘i Volcanoes’ ‘Ike Hana No‘eau “Experience the Skillful Work” workshops. Free, but park entrance fees apply. When: Wed., July 12 from 10 a.m. to 12 p.m.
Nā Wai Chamber Choir Performs. Revel in music that honors the traditions, sacred places, mythology, and legacies of Hawaiʻi Island. 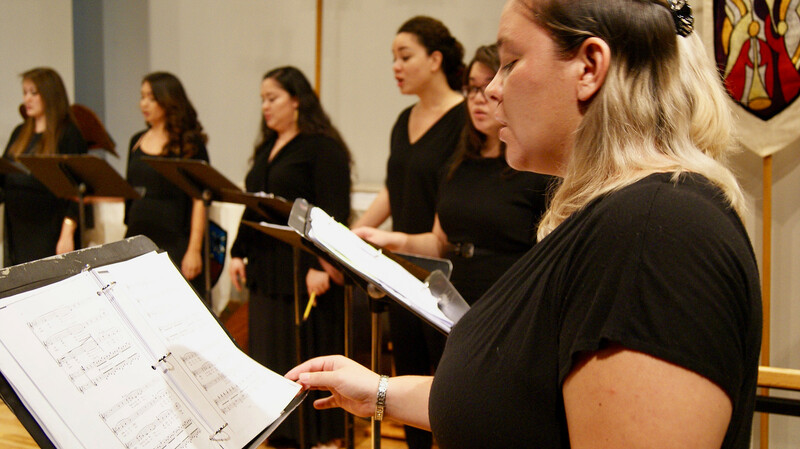 Based in Honolulu, Nā Wai Chamber Choir is a professional women’s vocal ensemble that celebrates the works of women, preserves and propagates Native Hawaiian music both past and present, and champions innovative repertoire for treble voices. Dr. Jace Kaholokula Saplan leads the choir on their Moku o Keawe tour. Part of Hawai‘i Volcanoes’ ongoing After Dark in the Park series. Free, but park entrance fees apply. When: Tues., July 18 at 7 p.m.
Hālau Nā Pua o Uluhaimālama Performance. Hālau Nā Pua o Uluhaimālama, from Hawai‘i Island, is a hula dance troupe that perpetuates the culture and arts of hula. 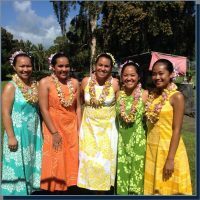 They are led by Kumu Hula Emery Aceret, a student of the revered Kumu Hula Ray Fonseca, and they have participated in many notable hula competitions. Part of Hawai‘i Volcanoes’ ongoing Nā Leo Manu “Heavenly Voices” presentations. Free, but park entrance fees apply. 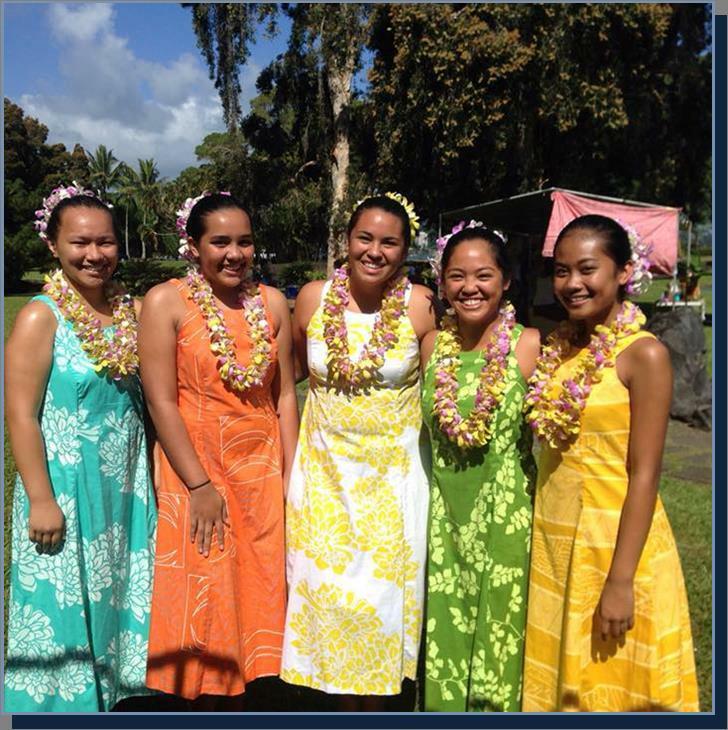 When: Wed., July 19 from 6:30 p.m. to 8 p.m.
Vespers at Hānaiakamālama. Vespers at Hānaiakamālama is an amazing one-woman show on the life of Queen Emma. 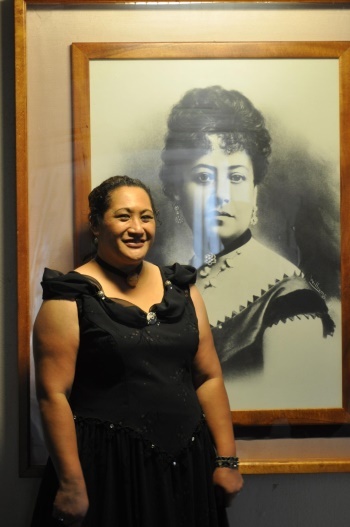 University of Hawai‘i-Hilo Performing Arts Graduate Denyse Woo-Ockerman brings the audience into Queen Emma’s home as she contemplates her eventual life, rich in family history and the weight of unexpected tragedy. Married to King Kamehameha IV, Alexander Liholiho, Emma reveals her resilience as they attempt to build, side-by-side, a better life for all Hawaiians, during a time of great change in the islands. Part of Hawai‘i Volcanoes’ ongoing After Dark in the Park series. Free, but park entrance fees apply. When: Tues., July 25 at 7 p.m.
‘Ōhe kāpala demonstration. NPS Photo. ‘Ohe Kāpala Demonstration. Learn to create designs from traditional patterns using bamboo stamps (‘ohe kāpala). Originally used to decorate clothing with symbolic meaning, we now use ‘ohe kāpala to tell stories on a wide variety of modern materials. Part of Hawai‘i Volcanoes’ ‘Ike Hana No‘eau “Experience the Skillful Work” workshops. Free. When: Wed., July 26 from 10 a.m. to 12 p.m.